# I'm the ORIGINAL. 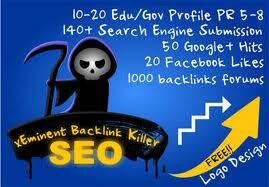 # 100% warranted service and backlinks # Your site will be on top Google Search with my backlinks. # 700+ DOFOLLOW backlink from TOP AUTHORITY SITES. High Page Rank (3-7),from UNIQUE domains and IP. # All sites have ANCHOR TEXT. My gig includes some EDU and GOV link. # Best SEO package. **!!!! *sure that you will get the best service. I'm, ready to answer to any questions! ** shoot 700+ Angela backlinks to rock your site on top of Google, include edu and gov backlink** is ranked 5 out of 5. Based on 1 user reviews.